Global climate change impacts forest growth and methods of modeling those impacts at the landscape scale are needed to forecast future forest species composition change and abundance. 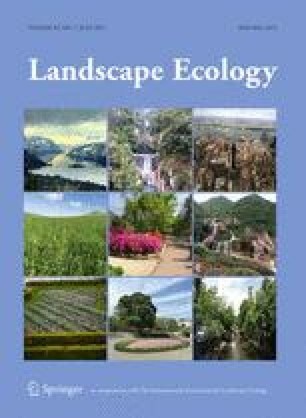 Changes in forest landscapes will affect ecosystem processes and services such as succession and disturbance, wildlife habitat, and production of forest products at regional, landscape and global scales. LINKAGES 2.2 was revised to create LINKAGES 3.0 and used it to evaluate tree species growth potential and total biomass production under alternative climate scenarios. This information is needed to understand species potential under future climate and to parameterize forest landscape models (FLMs) used to evaluate forest succession under climate change. We simulated total tree biomass and responses of individual tree species in each of the 74 ecological subsections across the central hardwood region of the United States under current climate and projected climate at the end of the century from two general circulation models and two representative greenhouse gas concentration pathways. Forest composition and abundance varied by ecological subsection with more dramatic changes occurring with greater changes in temperature and precipitation and on soils with lower water holding capacity. Biomass production across the region followed patterns of soil quality. Linkages 3.0 predicted realistic responses to soil and climate gradients and its application was a useful approach for considering growth potential and maximum growing space under future climates. We suggest Linkages 3.0 can also can used to inform parameter estimates in FLMs such as species establishment and maximum growing space. The online version of this article (doi: 10.1007/s10980-016-0473-8) contains supplementary material, which is available to authorized users. We thank Stanley Wullschleger and Wilfred Post for help in initializing LINKAGES v2.2 and Stephen Shifley, John Kabrick and Dan Dey for support and knowledge provided about forest ecology and forest soils. We thank Steve Pallardy and Oak Ridge National Laboratory for access to Ameriflux data. This project was funded by the U.S.D.A. Forest Service Northern Research Station, a cooperative agreement with the United States Geological Survey Northeast Climate Science Center, Department of Interior USGS Northeast Climate Science Center graduate and post-graduate fellowships, and the University of Missouri-Columbia. Its contents are solely the responsibility of the authors and do not necessarily represent views of the Northeast Climate Science Center or the USGS. This manuscript is submitted for publication with the understanding that the United States Government is authorized to reproduce and distribute reprints for Governmental purposes.